The Facebook CEO, Mark Zuckerberg, was called to testify before Congress due involvement in privacy violations and foreign interference. Zuckerberg apologized for the data-mining from the firm Cambridge Analytica. Here personal information from 87 million accounts was “improperly shared.”CEO Mark Zuckerberg also faced questions about his Facebook's censorship of Catholic content during his two-day congressional hearing. 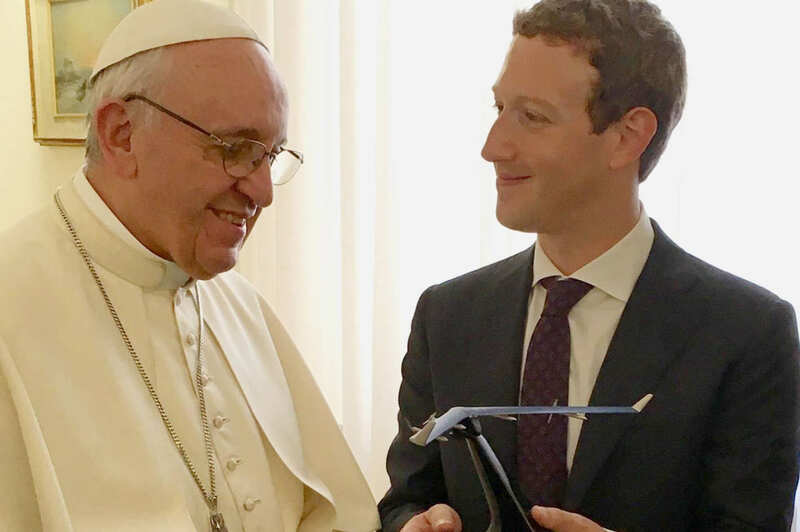 Zuckerberg apologized and said that the company “made a mistake” in blocking a Catholic theology degree advertisement by Franciscan University of Steubenville.. The ad, that featured a crucifix, was rejected by Facebook saying that its content was “excessively violent” and “sensational.” Facebook later apologized, saying that the ad had been blocked erroneously and did not violate terms of service. The tech CEO also expressed regret that he did not “take a broad enough view of our responsibility” to prevent tools from being used for harm, particularly with regards to “fake news, for foreign interference in elections, and hate speech, as well as developers and data privacy.” Senator Ted Cruz (R.-Texas) asked Zuckerberg about censorship of political and religious content on Facebook. Cruz said Facebook “has blocked over two dozen Catholic pages” as well as conservative content “after determining their content and brand were, quote, ‘unsafe to the community.’” In July 2017, Facebook blocked 25 Catholic pages in English and Portuguese. Facebook later apologized, saying the error was due to a malfunction. Zuckerberg said that “Facebook and the tech industry are located in Silicon Valley, which is an extremely left-leaning place,” but added that he is committed to “making sure that we do not have any bias.” When asked to “define hate speech” by Senator Ben Sasse, Zuckerberg responded, “I think that this is a really hard question.” Sasse continued, “There are some really passionately held views about the abortion issue on this panel today. Can you imagine a world where you might decide that pro-lifers are prohibited from speaking about their abortion views on your content — on your platform? “I certainly would not want that to be the case,” responded Zuckerberg.